Sushi Garden has won this category five of the last six years and if you stop by either slick, modern location, it's wildly apparent how popular these places are. The all-you-can-eat buffet is the star and although there are rules, you can really go to town challenging the limits of your gastrointestinal system ordering roll after roll until the sight of rice and fish seems wildly unappealing. 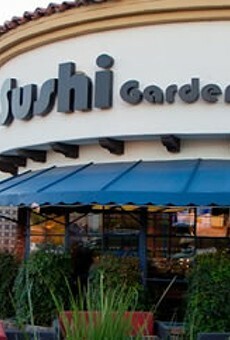 Sushi Garden makes Japanese cuisine accessible (and plentiful) and that's why they've stayed Best of Tucson winners.